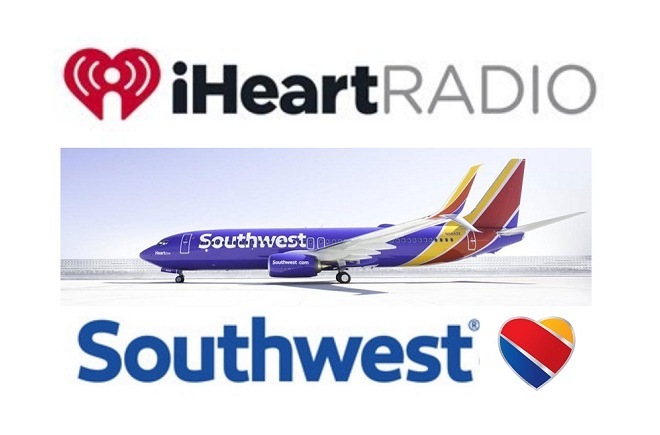 Southwest Airlines is bringing iHeartMedia’s free all-in-one digital music and live streaming radio service to passengers as the exclusive music offering within the onboard entertainment portal on Southwest flights. Through the onboard entertainment portal integration with iHeartRadio, Customers can enjoy all their favorite musical genres including alternative rock, country, hip-hop, R&B, Top 40 hit music, and more. From these genres, passengers can choose their favorite live radio station or pick from hundreds of artists to launch their very own custom artist radio station featuring music from that artist and those similar. In addition, iHeartRadio will also bring Customers expertly-curated station themes perfect for in-flight listening like Pass the Time and Kids Zone. Customers can access iHeartRadio free of charge through the onboard entertainment portal on their personal devices to begin their listening experience. Once activated, the music will continue to play as long as the entertainment portal is open in a tab, allowing Customers to browse the rest of the portal, check the flight tracker or utilize the web if they have purchased Wi-Fi access. Customers who already have the iHeartRadio app installed on their devices will be able to play their personalized music and favorite podcasts directly from the app while onboard Southwest flights. Those passengers who already subscribe to iHeartRadio’s All Access on-demand subscription service will also have access to their entire music library and saved playlists as well as enjoy millions of songs and albums instantly. The free service is available on the more than 690 Wi-Fi-equipped aircraft serviced by Global Eagle. Due to licensing restrictions, iHeartRadio may not be available onboard Wi-Fi-enabled international flights. The iHeart Radio product is available only on Wi-Fi-enabled aircraft.